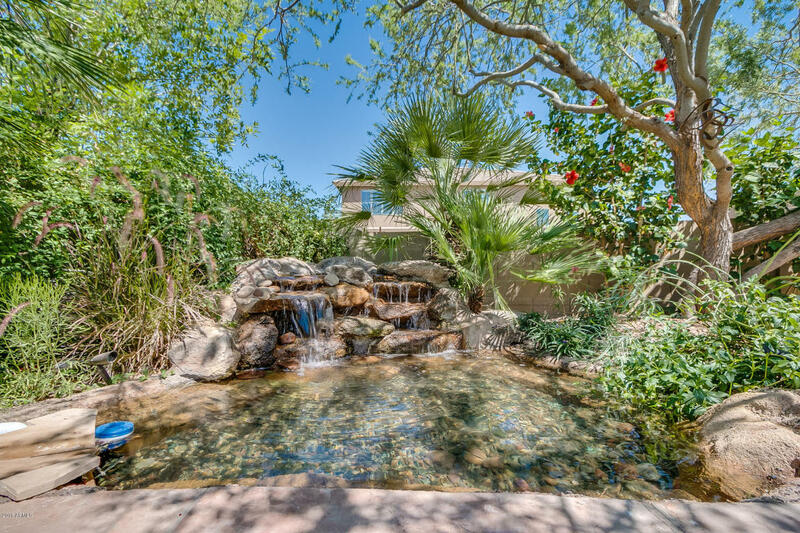 Enjoy the soothing tropical water feature, real grass and built-in BBQ in this oversized Anthem AZ backyard. 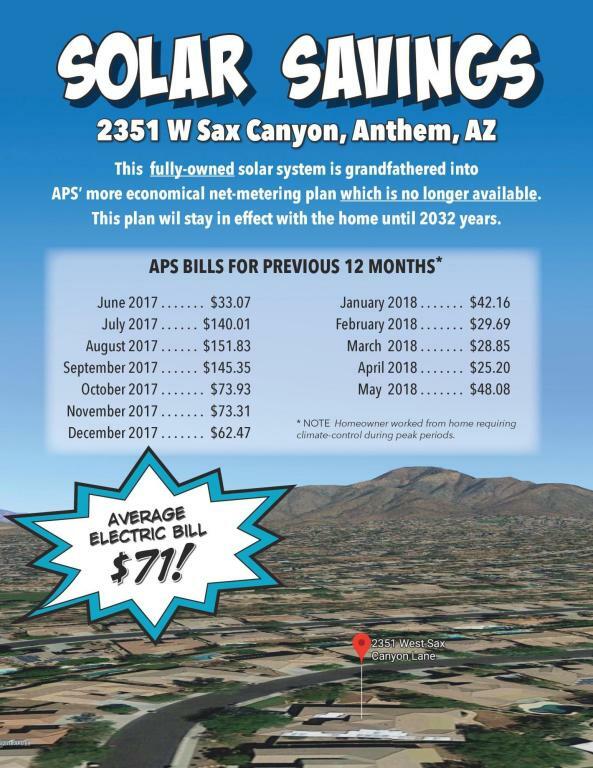 Appreciate the owned solar system (see the chart below for savings) and new Trane A/C units for efficiency, plus an RV gate at side yard. Admire the new quartz counters and beautiful hickory cabinets. Plus new carpets. AND a separate casita!